Serving strategy is one of the most impactful ways that a coach can influence winning or losing with a team in a match. Can you as a coach maximize your team’s point scoring percentage by making the best decisions to get the most value from each server? 2013 AVCA National Coach of the Year, discusses serving strategy. Coach Collier believes that one of the biggest was that a coach can impact his/her team winning matches is with serving strategy and with serving emphasis with players. A lot of different things happen in a match, but serving scores points. They are the direct reason you score points. he believes that as coaches we should take control and manage serving as best as possible to help our teams win more matches. Here are things to consider when developing your stategy. 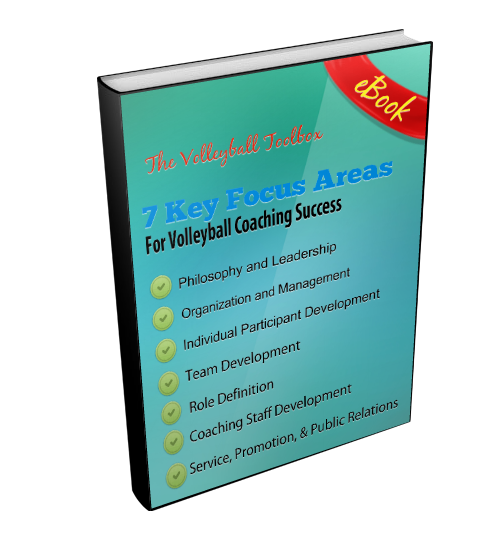 Signaling zones or player choice – To develop a serving strategy coaches must know their players strength and weaknesses. Which players serve better to which zones? Which type of serve is most effective for each player? To know these things coaches need to track points per rotation served. Coaches need to collect data so they can make informed decisions on what type of serve they want the players to use and to what zone. Serve the weakest player. – sometimes players serve more conservative when asked to serve the weaker player. The result is that despite serving a weaker player, the point production to does not go up. Adjusting serving strategy match to match – are you going to change your strategy or adjust match to match. There are advantages to both, you must decide. 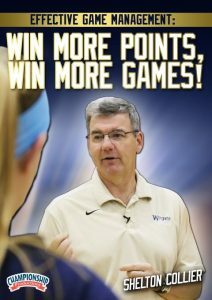 This clip is from Coach Collier’s DVD entitled: Effective Game Management: Win More Points, Win More Games! For more information about that DVD click the link above. The YouTube video below has audio, so please make sure that your sound is turned on and that you have access to the site. Note that some schools block access to YouTube. Click the arrow to play the video.